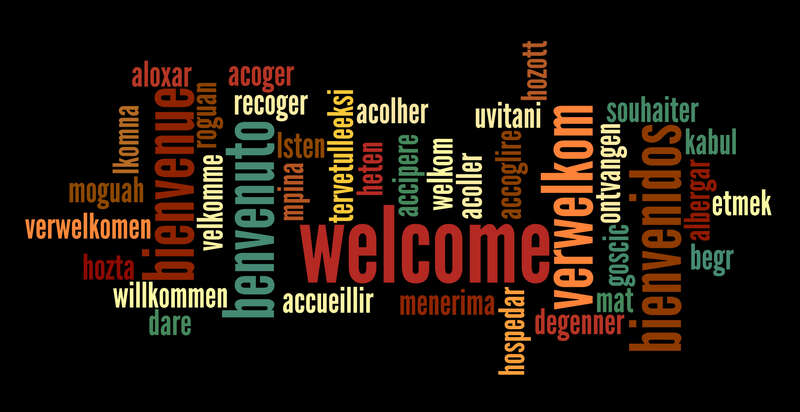 The UDM librarians are happy to welcome you to the library website. Here is some news you can use about the library. Hours may vary during holidays, breaks and finals. Check the library website. The Research & Information Desk is staffed with librarians every hour the library is open. 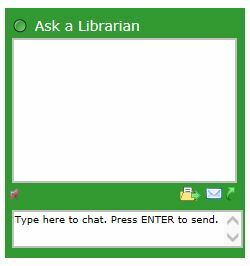 Chat with a UDM librarian online from 15 minutes after opening to 15 minutes before closing. Use the chat box after regular hours for 24/7 service. The library has Wi-Fi Internet access: bring your laptop. No laptop? No problem. The library has over 50 computers for use. All registered students are allocated 400 free pages of printing for the academic year. Color printing is available. Keep this in mind. You are going to need a scantron eventually. The library has them for 50¢ per sheet. Blue books are $1.00. Earbuds and flashdrives are available for purchase for your convenience. Cafe A La Carte is in the lobby of the library for your food and beverage needs. Databases, full text journals and electronic books are accessible through the library portal: http://research.udmercy.edu. For off-campus access, begin your search at http://research.udmercy.edu. A login screen will appear when you try to access the electronic materials. Login as you would for your Blackboard or TitanConnect account: UDM email name and password. Or, click the Re:Search Portal link at the upper right corner of the Blackboard after you have logged in. If you experience access problems, call the Research & Information Desk at the number listed above during library hours. At all other times, send an email to libbeygh@udmercy.edu. The loan period is 28 days for books and 1 week for DVD’s. You must have your student ID to check out materials. You may renew once by phone or through your “My Account” in the online catalog (no DVD renewals). Use the link on the home page. Sign in with your TitanConnect account login and password. Course Reserve materials are at the Check-out Desk (in library use only). The library has music CD’s, Audio Books and movies and television shows on DVD for your down time. This is just the tip of the iceberg. Come in, say hi and find out what else the UDM library has for you. We can’t wait to meet you and start you on the path to achieving your academic goals.